The story starts on a lovely Easter day at Sunday school! God’s Easter Miracles highlights God’s love and provision to His children. The lessons learned are not only about Jesus’s resurrection, but also awareness of treating children with Autism with love and respect, taking care of God’s creations, and most importantly, accepting Jesus Christ as your savior. Have you always known you wanted to be a writer? No, this was an acquired desire later in my adult life. I saw the need for children’s material that taught children how to have a strong relationship with Jesus, not just hearing stories about Him. My writing path began when I started writing these stories for my children. Do you remember the first thing you ever wrote? I’ve been a volunteer most of my adult life and wrote several little articles for various volunteer associations. However, the first published book was Fast Freddy, which I wrote 20 years ago, when my children were little. When my children were little, I observed different situations and conflicts among them and their friends, which motivated me to write stories that address these issues in a loving, compassionate way, according to connecting them with our Lord and Savior. For Christian children’s stories, it’s establishing characters the children can relate to that help to capture their imagination and touch their hearts in a loving way. Also, making the stories fun and endearing. They really like finding the hidden symbols that we placed upon each page. What kinds of things do you like to do when you’re not writing? I enjoy reading and walking. Also, preparing for my classes that I teach at South Florida Bible College and Theological Seminary in addition to volunteering at different venues and spending time with my lovely family! Who would you say has been a major influence in your life? First of all, my mother, who taught me Godly morals at an early age. Also, Dr. Warren Gage, who has been a mentor in my Biblical studies and a source of guidance in my personal life as well. Both are examples of the Gospel. I love to read books that inspire, encourage and are uplifting. In addition to any books that educate me in the word of God. What would readers be surprised to know about you? I received my BA in Religious Studies, and my two Master’s in my 50’s! Our seventh book in our series, God’s Creation, deals with teaching children to be good stewards regarding God’s wonderful ocean creatures. Again, they are faced with a dilemma, but relying on Jesus and His guidance, they learn how to be loving and caring for not only God’s creatures, but also their friends and family. Readers can go to my website, GLMPublishing.net, our Facebook page is Adventures of the Sea Kids, and our Twitter is @GLMPublishing. What advice would you give aspiring authors? I wrote these stories 20 years ago, with hopes of publishing them one day. After receiving rejection upon rejection, it wasn’t until the Holy Spirit prompted me many years after, to bring these stories out and work diligently to get them published. It was all God’s perfect timing. So, never give up, if it’s God’s will, it will be done! Lee Ann Mancini’s desire is for children to begin to know and love Jesus from an early age. This passion led her to seek out books for her own children that portrayed an active relationship with Jesus in a relatable way. She knew communicating God’s truth through captivating words and compelling illustrations is a crucial part of establishing that foundation. An adjunct professor at South Florida Bible College and Theological Seminary, Mancini holds a master’s degree in Christian studies from Trinity Evangelical Divinity School as well as Knox Theological Seminary. 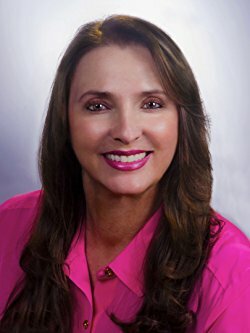 She holds a board position with the Florida Authors and Publishers Association and the Alexandrian Forum and maintains memberships with organizations such as the Christian Small Publishers Association and the Advanced Writers and Speakers Association. Mancini is an active member in her local community, visiting schools to share the Adventures of the Sea Kids series with children, as well as speaking to women’s groups about the redemptive power of the Gospel represented through the types of brides of the church. Learn more about Mancini and the Adventures of the Sea Kids at glmpublishing.net. Paul, Jimmy, Brian and the whole town witness God’s Easter miracles in this unique story. God’s Easter Miracles highlights God’s love and provision to His children. The lessons learned are not only about Jesus’s resurrection, but also awareness of treating children with Autism with love and respect, and taking care of God’s creations. As in previous books, God’s Easter Miracles establishes characters that children can relate to, while capturing their imagination and touching their hearts in a loving way. Written in a fun and endearing way, God’s Easter Miracles also provides interactive entertainment by including hidden symbols for children to locate throughout the book. Oh this seems like a really lovely book! I will have to get a couple of copies! !